Former U.S. Secretary of State Condoleezza Rice recently spoke to 1,700 of Colorado’s most prominent business leaders about the importance of school choice and its impact on students, communities, and the country. Rice served as the keynote speaker at an ACE Scholarships luncheon on September 23 at the Colorado Convention Center in Denver. One of the most widely accomplished U.S. officials in recent decades, Rice currently serves Stanford University as a professor of political science, a professor of political economy in the Graduate School of Business, and as a Thomas and Barbara Stephenson senior fellow on public policy at the Hoover Institution. Rice was formerly Stanford University’s provost. Founded in Denver, Colorado, ACE Scholarships is dedicated to the belief that every child is entitled to a quality education. The nonprofit organization strives to assist parents in need by providing adequate educational resources to their children. ACE Scholarships aims to ensure that students’ academic potential is not determined by their financial background. 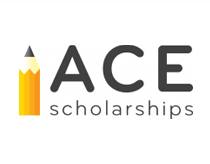 Supported by individual, corporate, and philanthropic donors, ACE facilitates scholarships and school choice programs for children from financially disadvantaged backgrounds. By providing scholarships to cover partial tuition at local private schools, the organization seeks to build a firm academic foundations for Colorado students from kindergarten through 12th grade. In doing so, ACE Scholarships hopes to fuel their future academic, professional, and personal success. Since its inception, ACE Scholarships has awarded more than 15,000 scholarships to students throughout Colorado, granting over $25 million in financial aid. ACE’s programs have greatly increased its participants’ graduation rates, ACT scores, and college participation in comparison with other Colorado students, and the organization continuously strives to expand its impact throughout the state. ACE Scholarships hosts an annual luncheon, welcoming numerous local business leaders to address the crucial issue of education in America. With previous keynote speakers including Geoffrey Canada, Jeb Bush, and Mitt Romney, the event serves as a forum to recognize the organization’s achievements and emphasize the need for ongoing support.